It was, if memory serves, the late John Dankworth who described the soprano saxophone as ‘an ill woodwind that nobody blows any good’. That’s not, of course, true in the case of Dankworth himself, nor in that of Michael Duke. 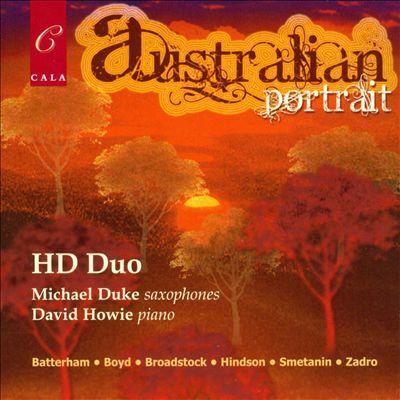 Duke’s Australian Portrait CD, made as half of the estimable HD Duo with pianist David Howie, has been around for a few years now but deserves wider currency as a sampler of some of the many compositional voices active in Australia – or at least Sydney and Melbourne – today. 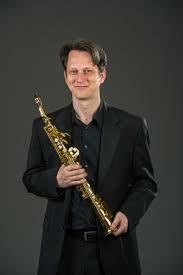 Four of the six works are for alto saxophone and piano, though the disc kicks off with a work featuring the soprano. Repetepetion is one of several pieces by Matthew Hindson that have gained an afterlife in a new arrangement. Dating from 2004, this work was originally a ‘compositional etude’ for solo violin, but the present arrangement sits well on the duo, its sunny, diatonic demeanour not quite concealing a subtle sophistication of metrical organisation. 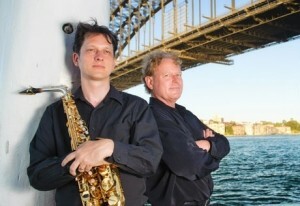 Geniality is a feature of Hindson’s work and of Brenton Broadstock’s more substantial Not too near…not too far, composed for Melbourne saxophonist Barry Cockcroft and pianist Adam Pinto. Like his works for the Australia Ensemble and, more recently, Syzygy, Broadstock’s piece is a carefully-tailored celebration of its first performers’ strengths. In palindromic form, its quirky gestural music gives way to emphatic dance rhythms and these elements frame a beautiful, introspective section of long melodies and mild dissonance. 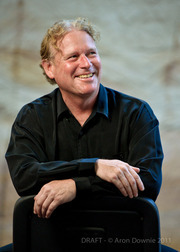 Andrew Batterham’s Duke’s Crusade, composed for Michael Duke in 2004 is essentially a short sonata complete with first and second subjects, development, a slow interlude/movement and recapitulation. Not surprisingly, such a neoclassical approach invokes the shade of Ravel once or twice, even in the ‘funky’ second subject material which refers to certain jazz mannerisms, though more so in the more ruminative sections. The jazz element lies behind Mark Zadro’s X Suite, whose first movement ‘Witches Brew’ nods to Miles Davis’ similarly named album of 1970. But the work explores a wider aesthetic universe in its eight, short, interconnected movements each of which examines a range of techniques and colours. ‘Rattle snake’ employs a certain onomatopoeia with the rattling keys of the saxophone, and invites comparison with Anne Boyd’s Ganba. Boyd’s work, related to her opera, to Bob Reece’s libretto, on the life of Daisy Bates, depicts a giant snake central to the mythology of people in the Ooldea region, which becomes identified with the trains of the Trans-Australia Railway. Boyd’s and Zadro’s ‘snake musics’ have a number of point of intersection, notably the use of terse, jagged rhythmic motifs, though Boyd’s creature brays, (a little a la Bernard Herrmann in the score to the film Journey to the Centre of the Earth), in the voice of the baritone saxophone. Like Boyd’s Ganba, Michael Smetanin’s If Stars Are Lit is related to an opera, in this case his Mayakovsky, to Alison Croggon’s libretto. The material is derived in part from material that was generated for the opera though the instrumental work doesn’t refer to any character or incident. Like a number of Smetanin’s pieces, this takes the form of an articulated set of contrasting, strongly-profiled sections ranging from the abrasive to the lyrical, and makes greater use of extended techniques (for both instruments) than other music in this collection. It is not, however merely a string of pearls, but a work of great poise and imagination.